A well tended tropical garden path leads up to the home and into the large open plan living, dining, and kitchen areas. 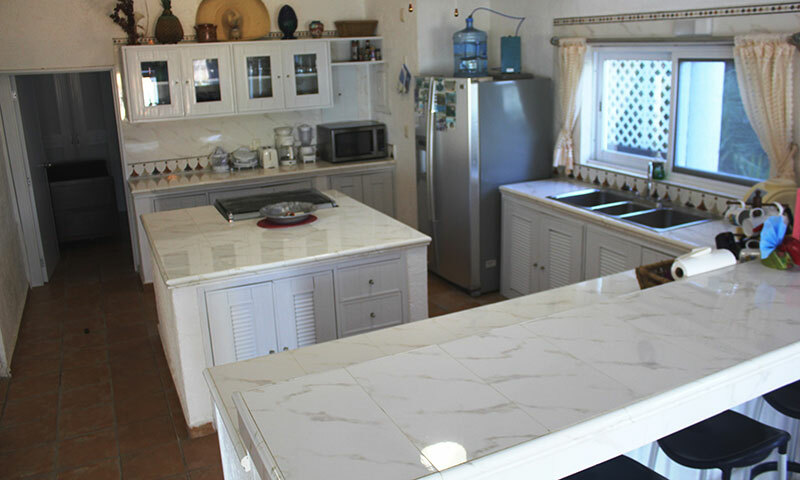 The kitchen has an enormous faux marble counter area complete with all the modern conveniences of home, a breakfast bar that seat 6, and a great dining table with room for 10. 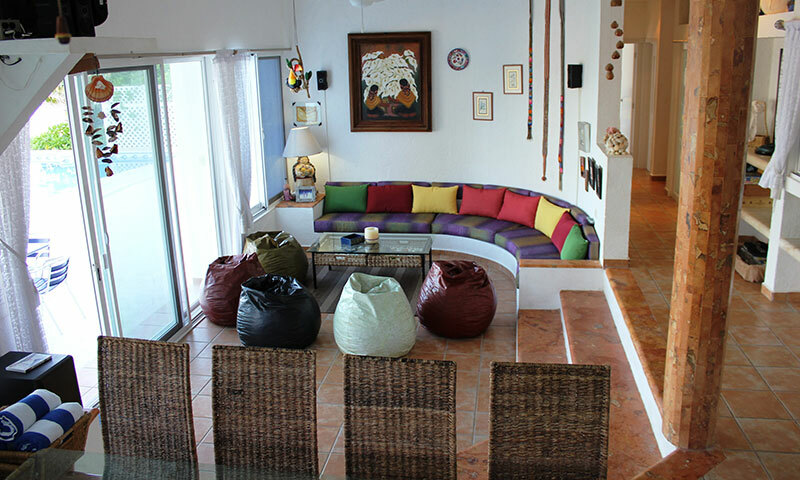 Moving on to the living area, it is furnished with a large comfortable crescent shaped sofa and plenty of fun retro beanbags for sitting back and relaxing. 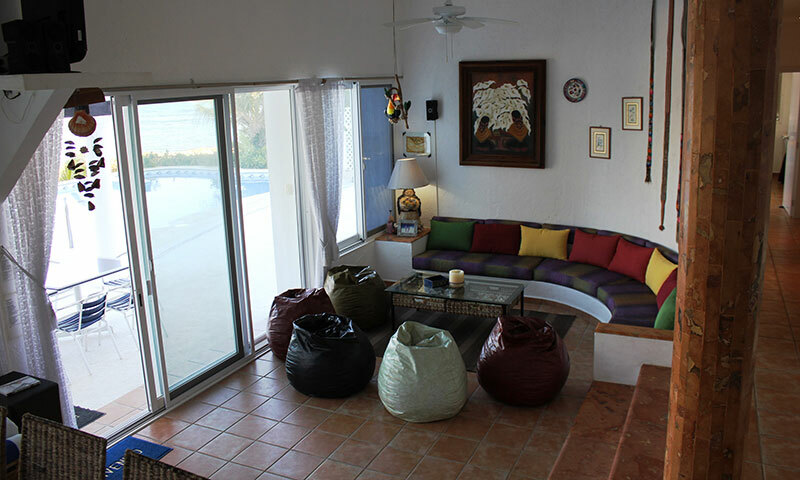 The living area also has satellite TV on the large flat screen, and a selection of over 200 DVD movies. Beyond the living area are sliding terrace doors that open up to an outdoor dining space for 18, the outdoor swimming pool and the ocean! 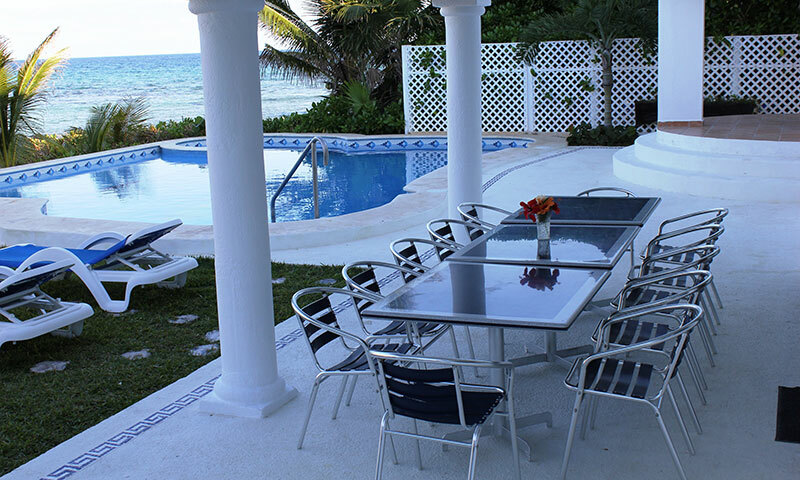 This is a splendid spot for poolside BBQ's or alfresco meals in the warm Caribbean air. 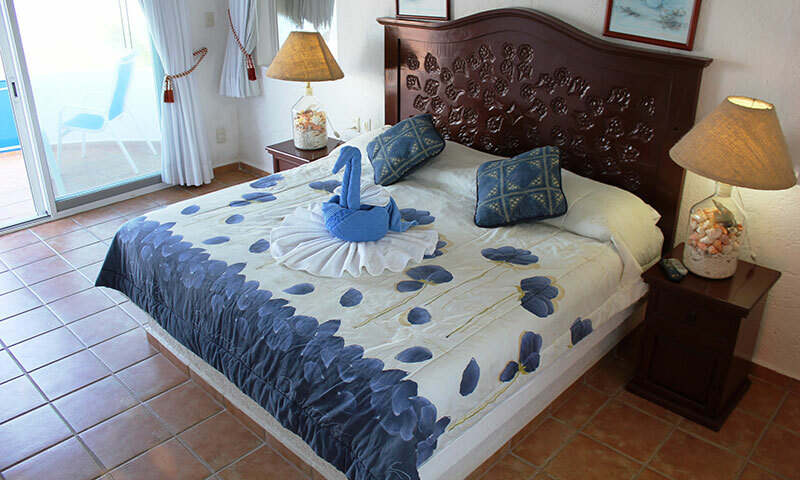 On the main level there is a well appointed guest bedroom with pool and ocean views that is furnished with 2 queen sized beds, sliding doors out to the pool area, and an ensuite bathroom which has Jack and Jill doors allowing it to be used as a day/guest bathroom as well. 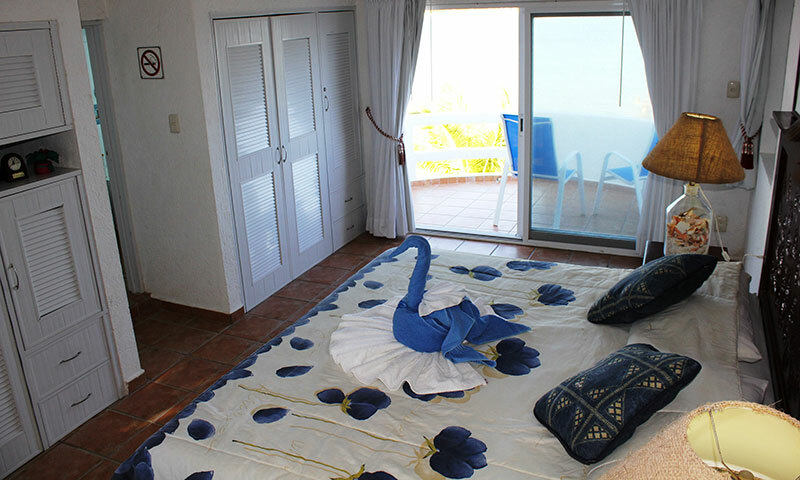 Another large ground floor bedroom is located on the northern side of the villa, furnished with a King sized bed, a double sofa bed, private bathroom, and also sliding doors with ocean view. 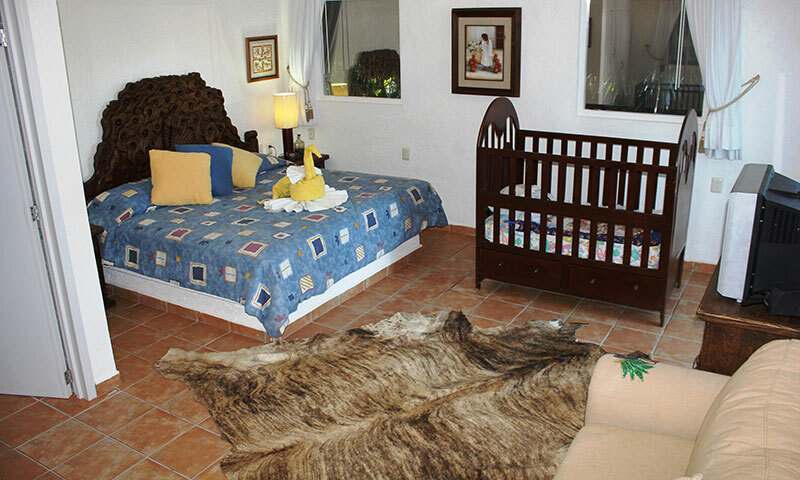 Both bedrooms are air conditioned have plenty of closet space. 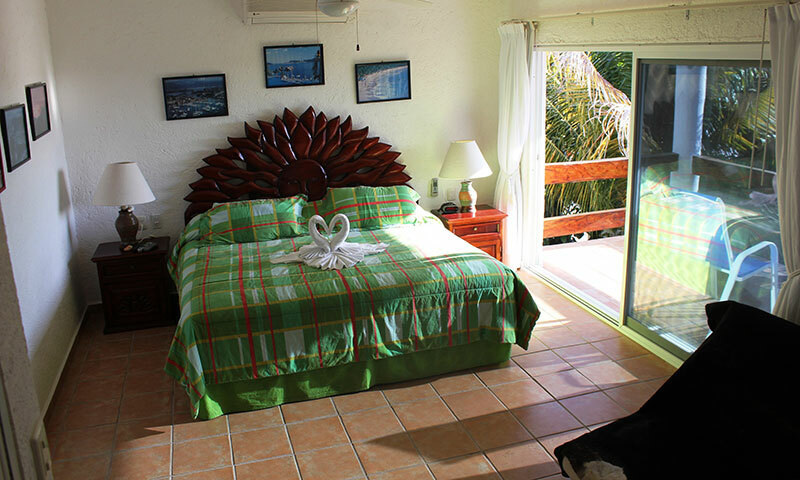 Upstairs there is a large master bedroom with a king sized bed, private bathroom with ocean view bath tub, and sliding doors onto its own private terrace with wonderful vistas of the Caribbean Sea. 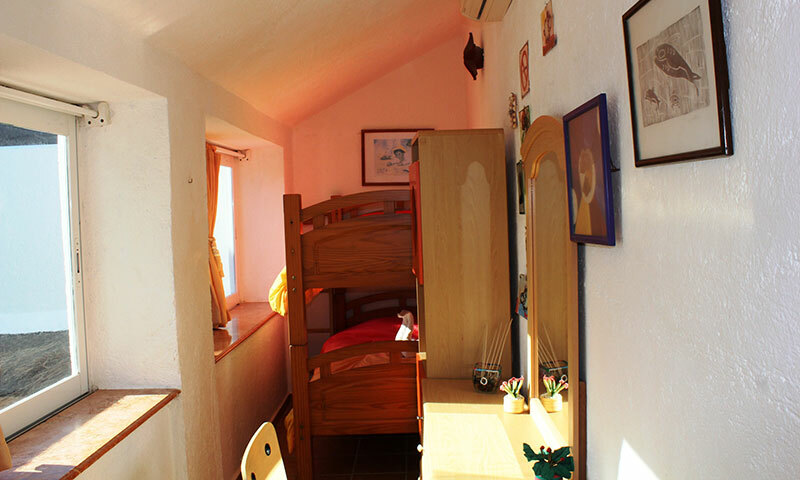 Just along the hall is a small children's bedroom with 2 bunk beds and its own bathroom with shower right next door. 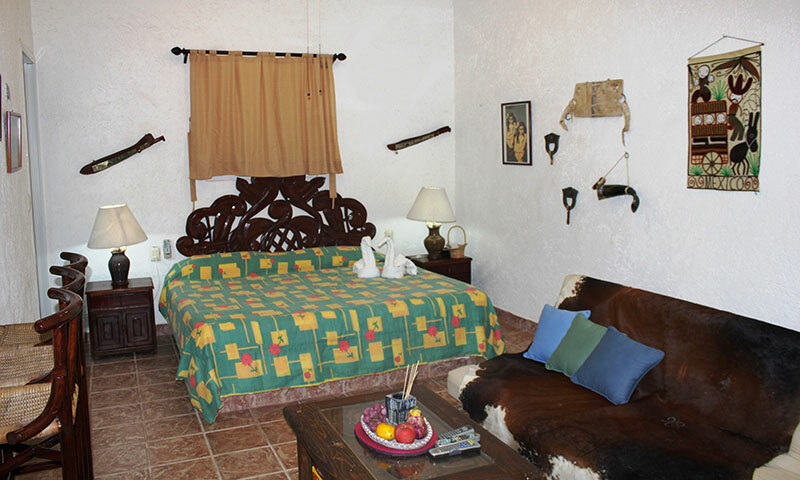 Both bedrooms are air conditioned have plenty of closet space. 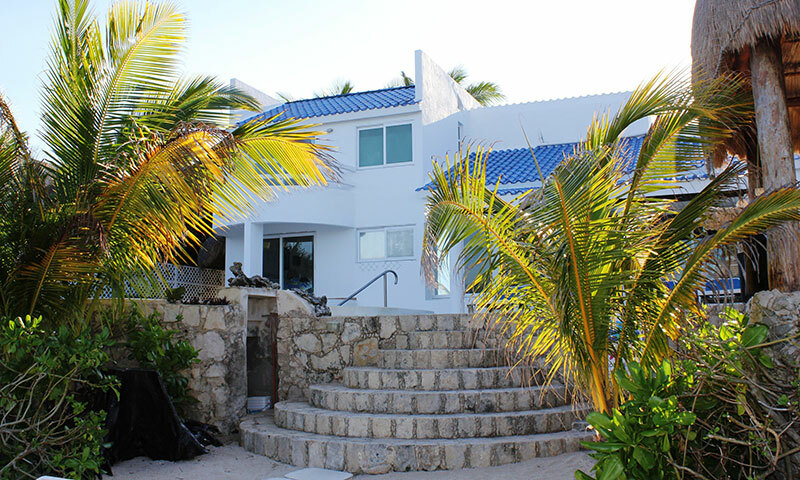 The Penthouse is located on the upper floor with its own separate stairwell and exterior entrance. The penthouse is a one bedroom apartment with a king sized bed and queen futon in the bedroom, comfortable sofas in the lounge area, 2 of which convert into sofa beds, a dining area with seating for 4, a kitchenette (refrigerator, microwave, coffee maker), and 2 fabulous private terraces offering views both over the bay to the east (sunrises) and the lush Mayan jungle to the west (sunsets). Below the Penthouse, again with its own private exterior entrance, is the ground floor Studio. 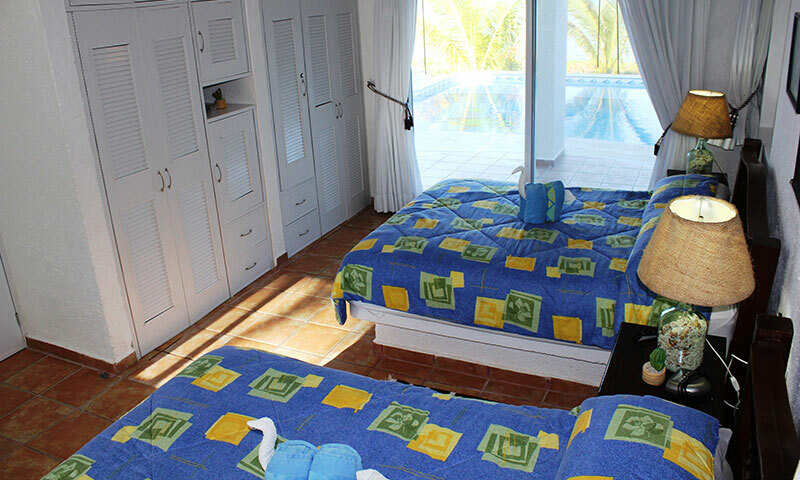 This is a perfect space for teenagers and is furnished with a King sized bed, 2 futons, plenty of beanbags, a kitchenette, large closet/dressing room, and a private bathroom. 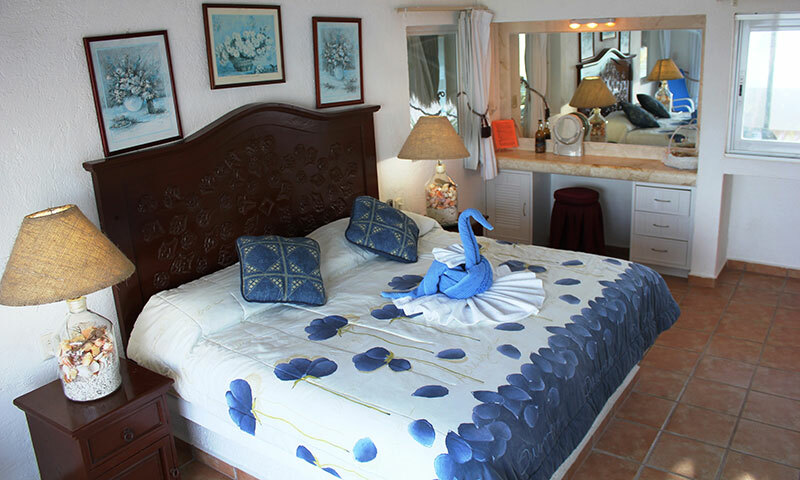 All of the bedrooms at Villa Kokobeach are air conditioned and have a guest safe and a locking closet to keep your valuables secure. 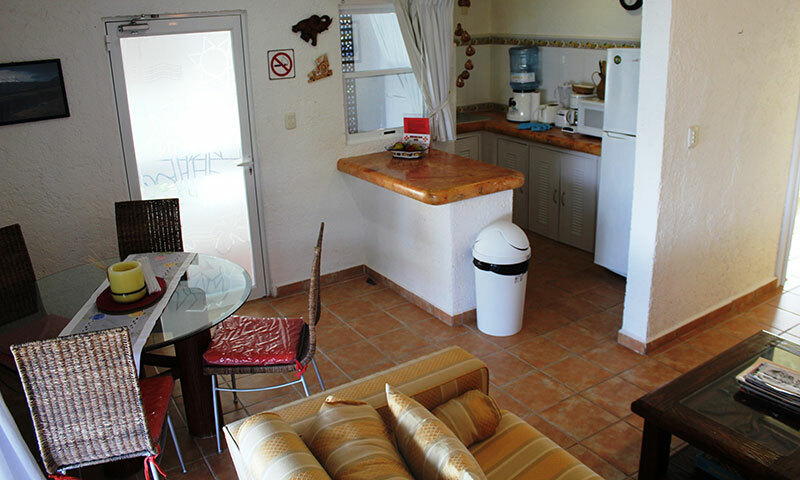 All bedrooms have TV and DVD, with the living room, Master bedroom, Penthouse and Studio also having Satellite TV. 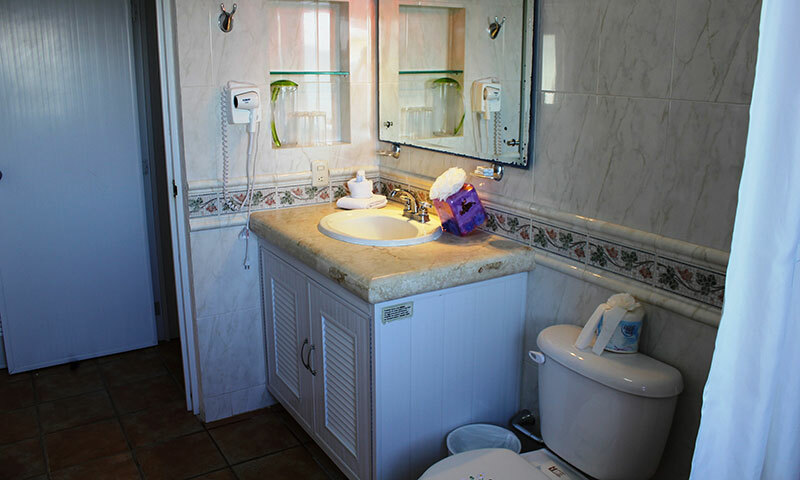 There is WiFi internet access throughout the house and all of the bathrooms have hair driers. 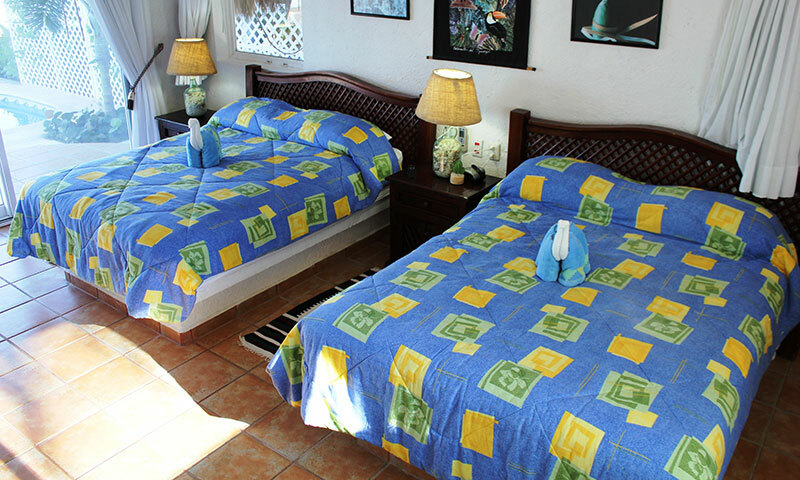 The exception is the kids room with twin beds, which does not have a safe or TV. 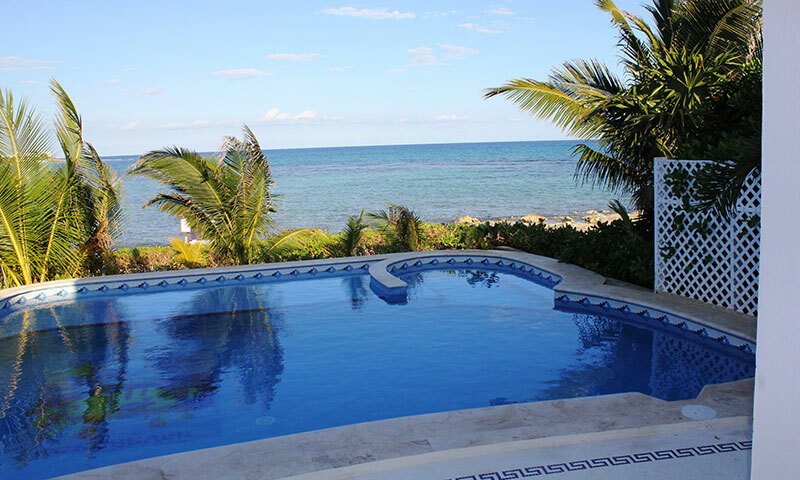 Kokobeach has a large fresh water pool facing the ocean complete with shallow childrens area and aquatic solarium. 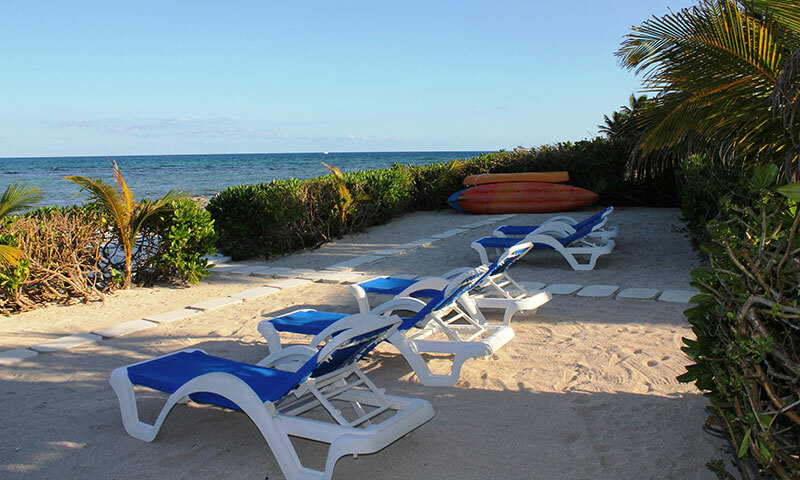 There are plenty of loungers for relaxing either on the lawn areas, or on the 3500+ sq ft. private beach area near the water. 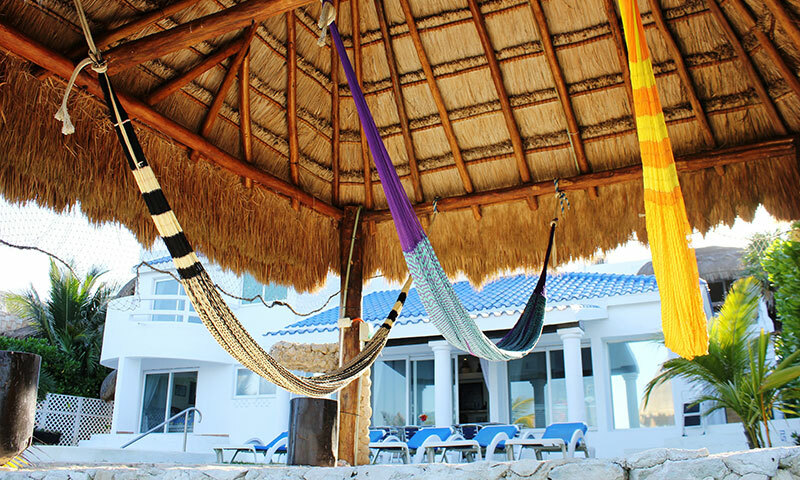 There is also a wonderful palapa with hammocks for siesta time. Kokobeach's pier is the newest upgrade at the villa. 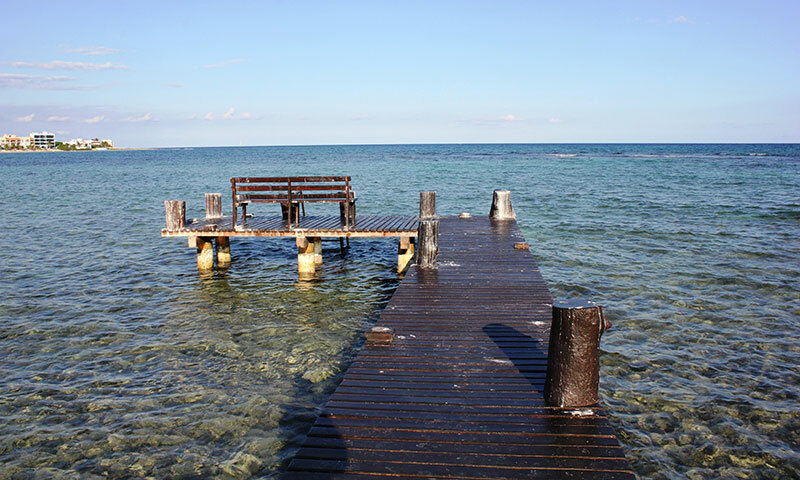 This a great place to snorkel or launch kayaks for exploring the bay. 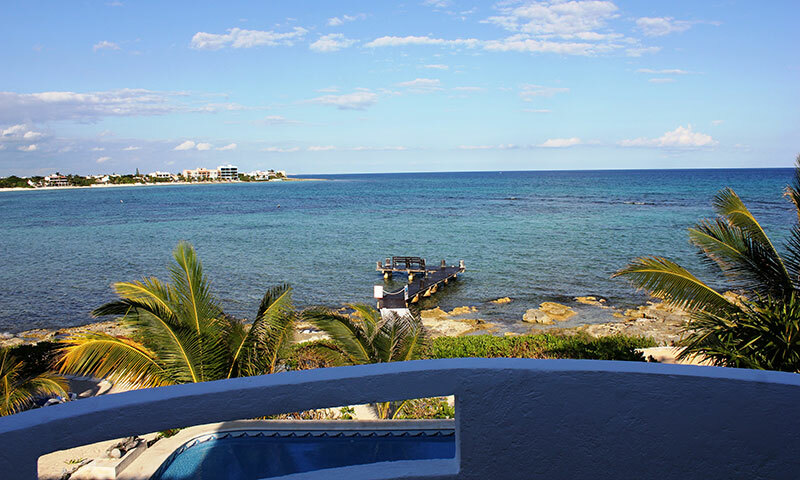 This Villa is located on a beautiful Caribbean beach in the heart of Akumal, with three restaurants and bars within walking distance, two of which are on the sandy white beach. 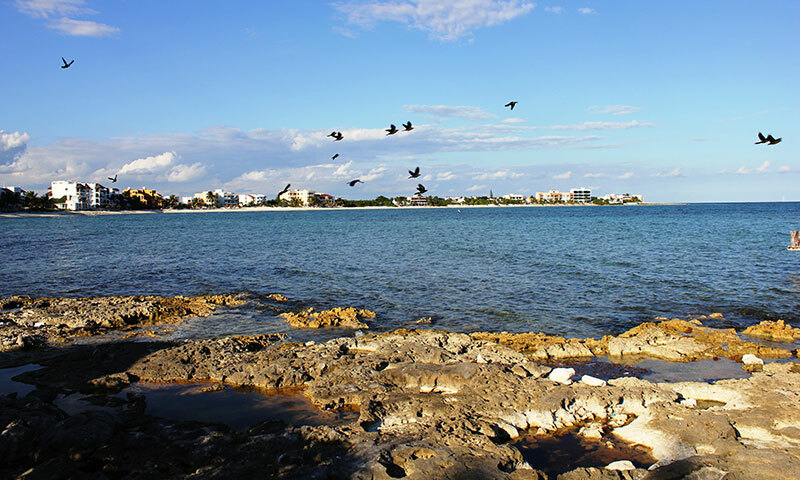 The town of Akumal is about a 10 minute walk. 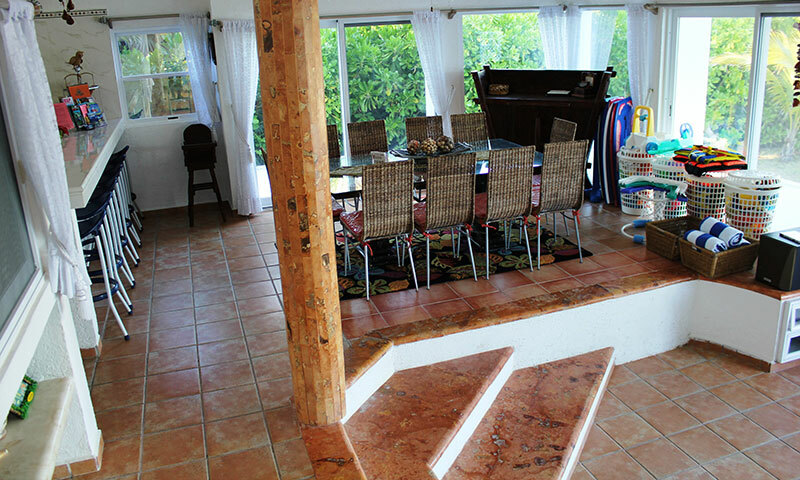 Is Villa Kokobeach the spot you have been looking for? Please contact us for reservations. 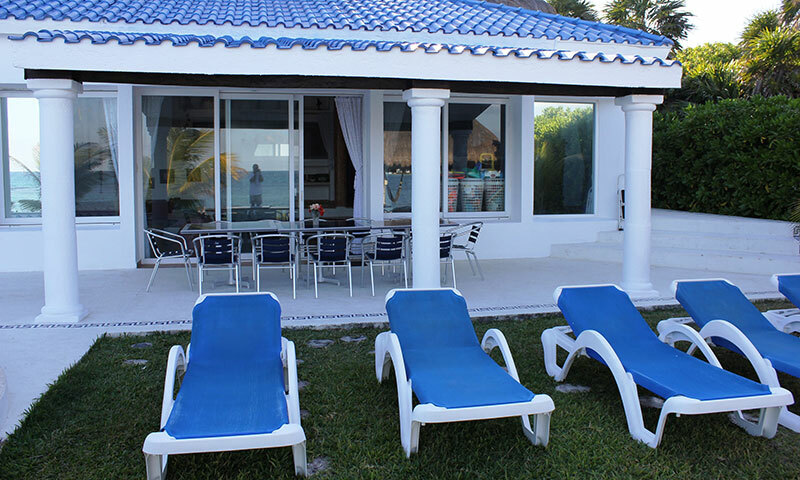 Do you want all of the wonderful outdoor amenities of a large luxury villa but you are vacationing with a small group? 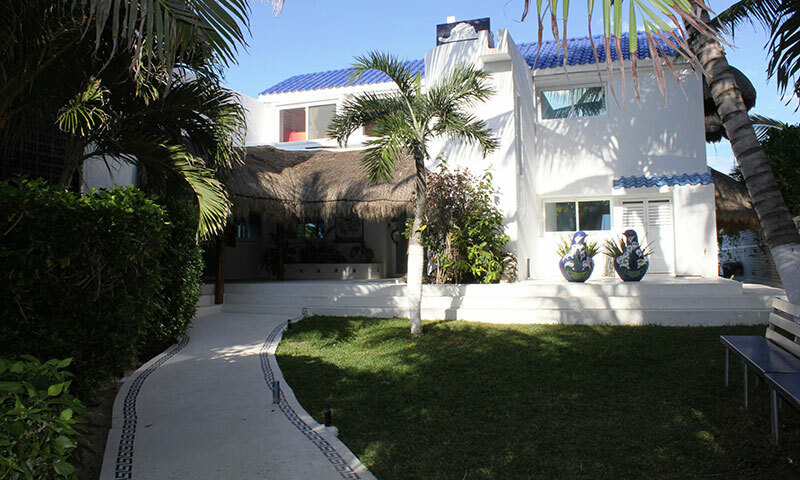 Now Sol Maya can offer rentals of the Studio and/or Penthouse on their own with exclusive use of the pool and all outdoor areas. 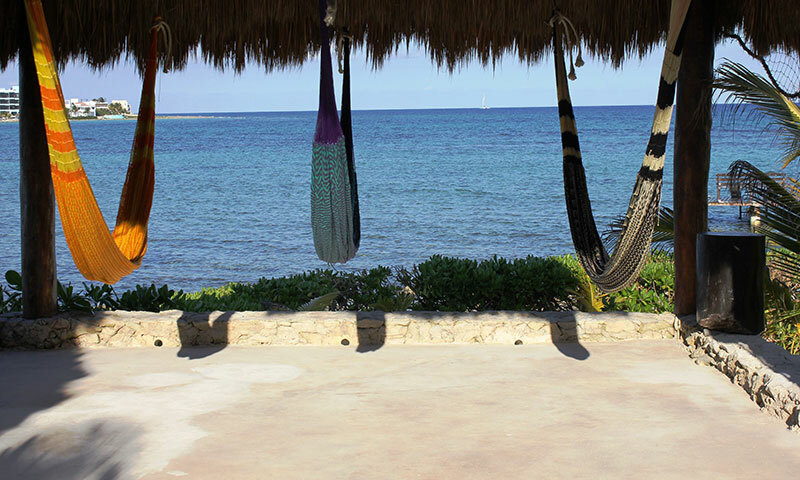 Sol Maya will not rent Kokobeach to more than one group at a time, so you will never have to share any of the outdoor areas with another group. 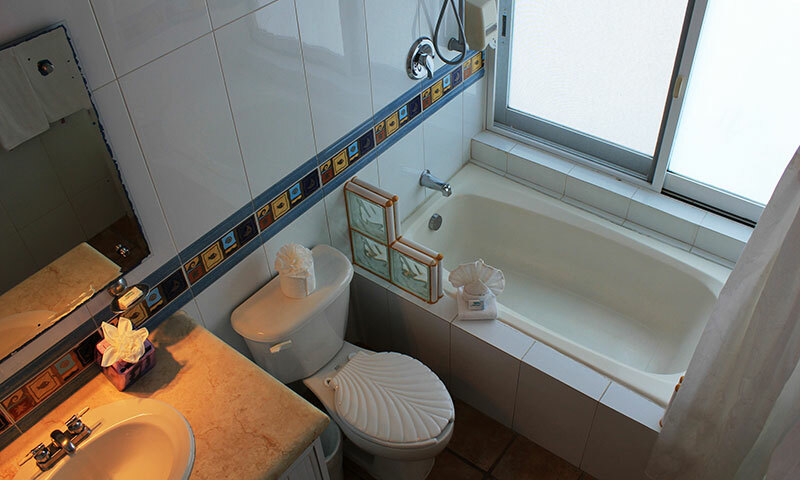 Penthouse (one bedroom): Max 4 people (2 in bedroom, 2 in living room). 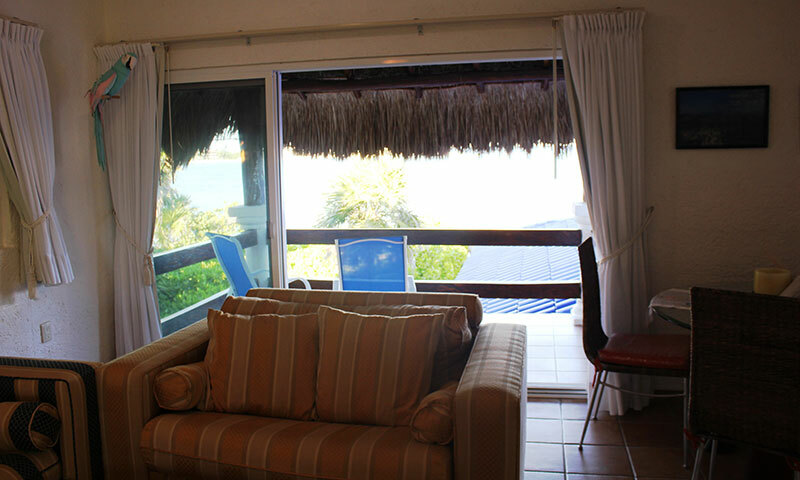 2 terraces with ocean and jungle views, living room area with Sat TV/DVD, WiFi and kitchenette. 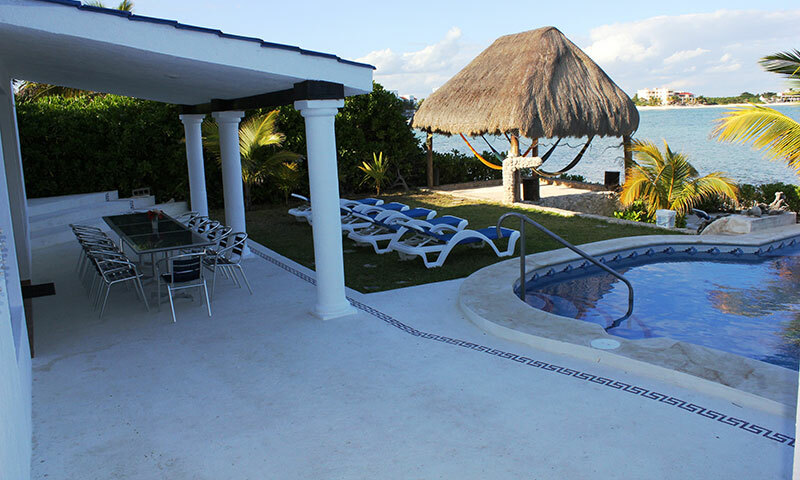 Exclusive use of all outdoor areas and pool. 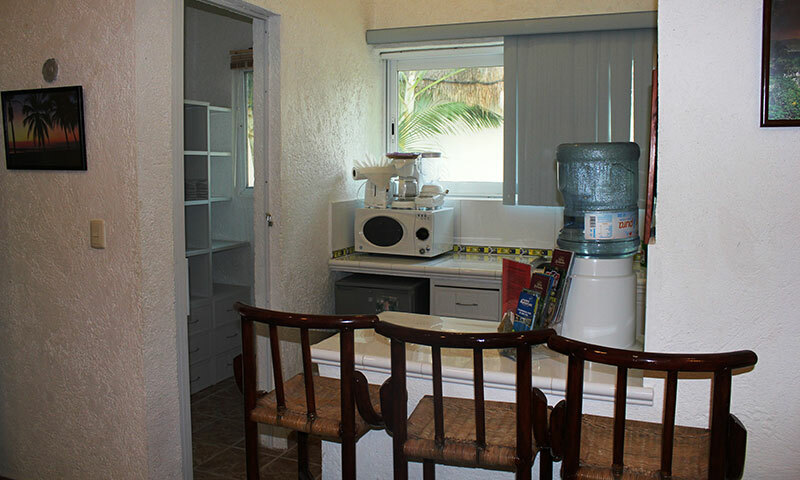 Studio: Max 4 people, one large room with King bed and futons plus Sat TV/DVD, WiFi, and kitchenette. Accessed from the tropical gardens. No view. 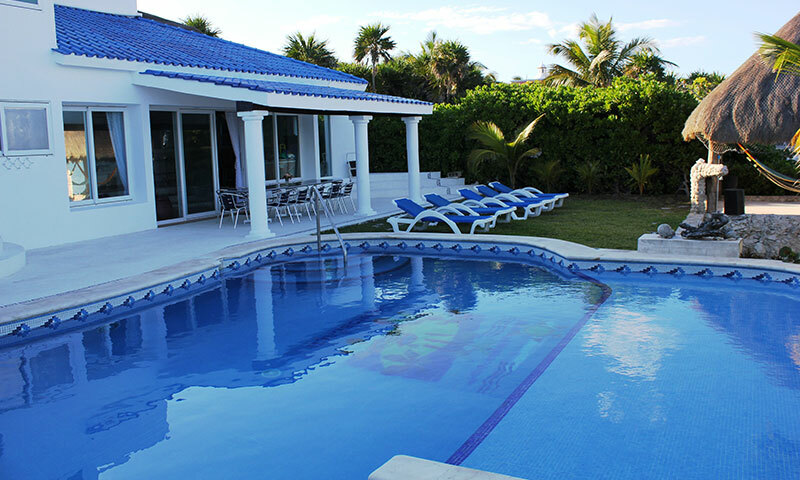 Exclusive use of all outdoor areas and pool. Security Deposit Of $1000.00 by Credit Card voucher with property manager upon arrival. Penthouse and/or Studio only rates are good for all dates except holiday weeks (Christmas Week, New Year Week, Presidents Week, Easter Week, and Thanksgiving Week). 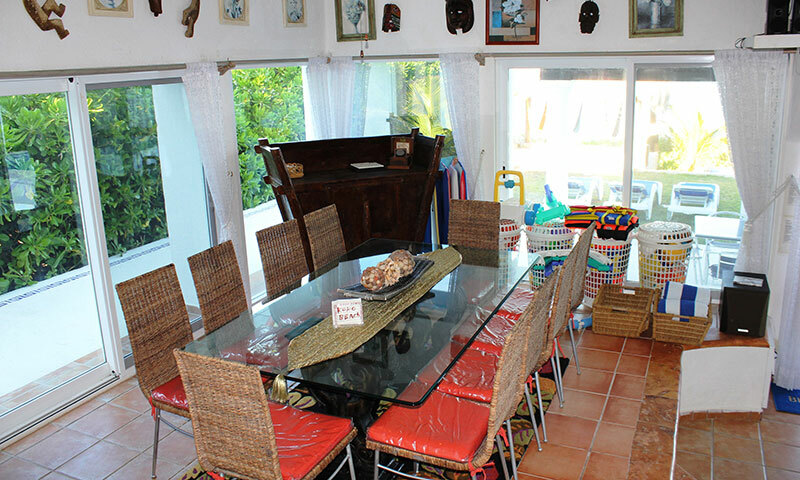 High Season Min 5 nights, Mid and Low Seasons, Min 3 nights, unless otherwise agreed.